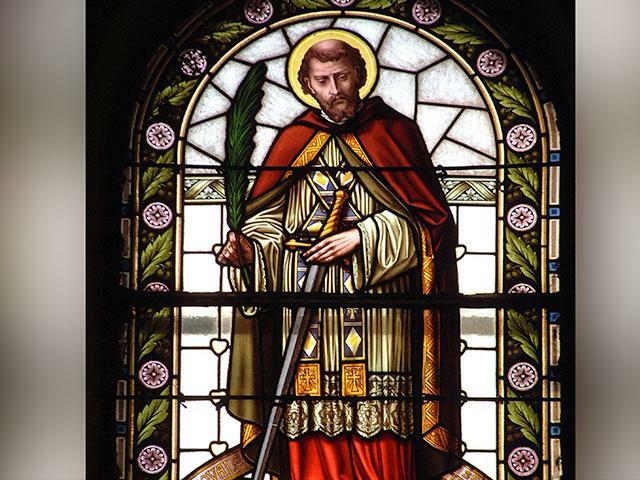 I though it might be interesting to look at one of the stories surrounding St. Valentine. He has been retained as a Saint by the Catholic church and there are many versions of his life. This is one of them. Flowers, candy, red hearts and romance. That’s what Valentine’s day is all about, right? Well, maybe not. The origin of this holiday for the expression of love really isn’t romantic at all—at least not in the traditional sense. Father Frank O’Gara of Whitefriars Street Church in Dublin, Ireland, tells the real story of the man behind the holiday—St. Valentine. In a previous post I mentioned the first car I ever had. My father bought it and I’m sure it must have been a bargain. Just having a car was a thrill…I didn’t care what kind of car. For me any car was a plus. A beautiful version of the car, Mine was old and battered. Fortunately I was young enough (?16,17?) that the problems the car had were like an adventure to me. The car was a Willys Jeepster. It was not new and had some interesting challenges. It would not go over 50 mph unless you were going down a long hill.The seats were bolted to the floor so there was no adjusting them to reach the clutch and change the gears. I used a pillow to reach. There was a starter button in the floor (how many people ever heard of such a thing?). It was a convertible…you pulled the top up and down. It did not have windows…only side curtains. ?Isinglass? Before plastic. (Now you are getting how old I am.) We lived in northern Virginia and it was cold in the winter. There was no heat. My friends and I didn’t care a jot. We had transportation! In the winter we bundled up and sometimes rode with the top down when it was snowing. The car’s idiosyncrasies gave us an opportunity to meet people. For a while the starter button in the floor did not reach something called the “starter connector” in the engine compartment. There were two options for starting the car. You either had an available person to put a piece of metal between where the starter button was supposed to connect to the starter connector so that it would reach or we pushed the car. Old cars started easily by someone pushing and someone popping the clutch. If we parked the car when in town we usually searched for an end spot so we could jump start the car if needed. We parked on hills when we could as just drifting down a hill would give us enough motion to start the car. We would also get help from people who stopped to help us. We met lots of boys this way. Once, in heavy traffic, I stopped for a red light. I didn’t realize that when stopping I pulled up on the steering wheel…..it came off in my hand. With great aplomb I pushed it back on and held it that way until getting off the road. There was a bolt that held it on and we managed to fix it. This was life in a different era. It was not dangerous for young girls to wander around town and meet strangers. Most roads had speed limits of 50 mph or less. Looking back it seems it was a kinder era. Maybe not…I may have just imagined it that way. I wish it were so now. Author worrylessjourneyPosted on November 5, 2018 Categories advice, answers, appreciate, belief, celebrate, misunderstanding, perspective, remember, viewpoint4 Comments on Ordinary? This is the first day here that has felt like fall and although the days are shorter I am enjoying the cooler air. The air feels good. We live on the salt marsh and have an 8 ft tide. For most people who move here the smell of the marsh is not pleasant. Having been here most summers of my life and lived here for 42 years it is a joy to me. I love the smell. It reminds me of summers going to the beach. Good memories. It is amazing how smells can trigger memories. My mother always wore the same perfume and when someone is wearing it I immediately think of her. Those kinds of things bring good memories. There are also things that trigger bad memories. Recently a smell triggered memories of time spent in the hospital with severe bowel problems. Not a good memory. I immediately pushed that memory away. I have found that it is possible to wallow in a good memory and accept all the pleasure that it brings. I have also worked on letting the bad memories slide in and out of my mind by mentally pushing them away. Usually it works. I focus on something else and drag my mind away. Memories are part of our lives. It is part of what made us who we are but we don’t have to live in the bad ones. Living in the past can become addictive. We would be wise to enjoy the good memories and then move back into the NOW. Dwelling in the past can stop us from experiencing the present. NOW is what is important.